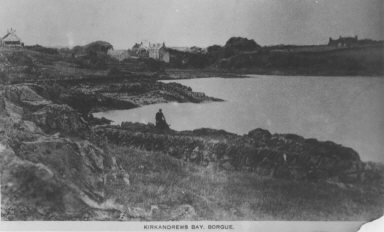 An early photograph of Kirkandrews, probably from the late 1800s. Craig Cottage is at the far left and the corn mill can be seen in the valley, to the left of Knockkennoch. This mill was knocked down in the early 1900s and the stone was used to build the Meggerland Row cottages. 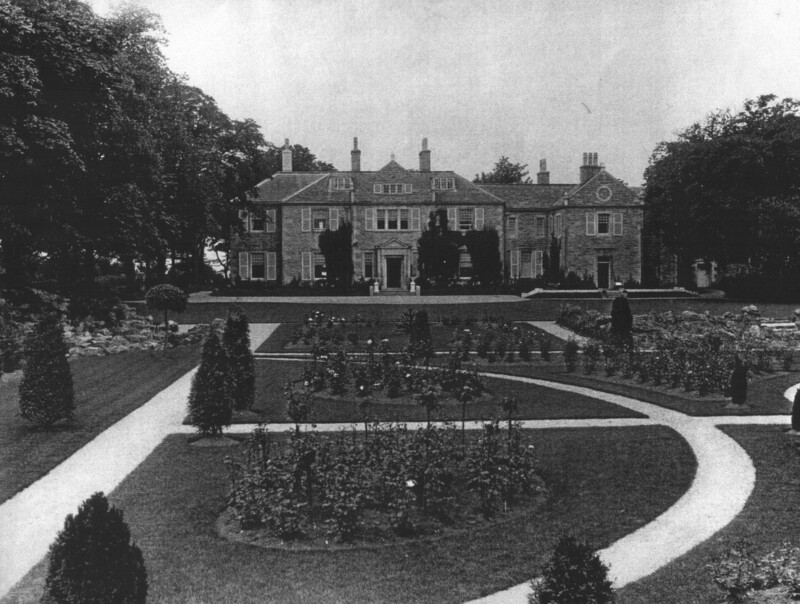 The kirk and laundry buildings had not yet been built. 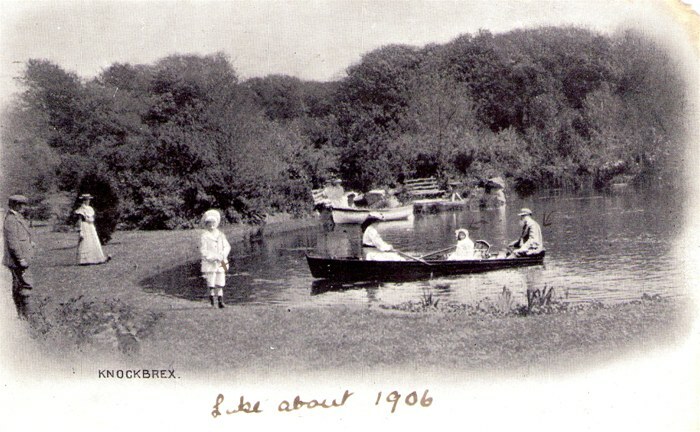 The building on the right is Meggerland farm, which has now been replaced with two modern houses. 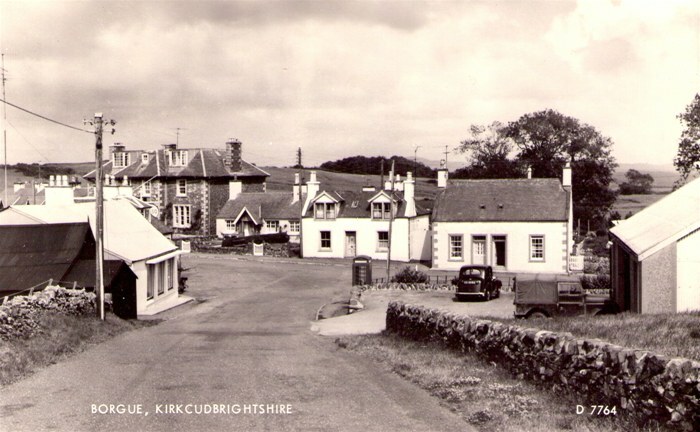 A slightly later view of Kirkandrews. 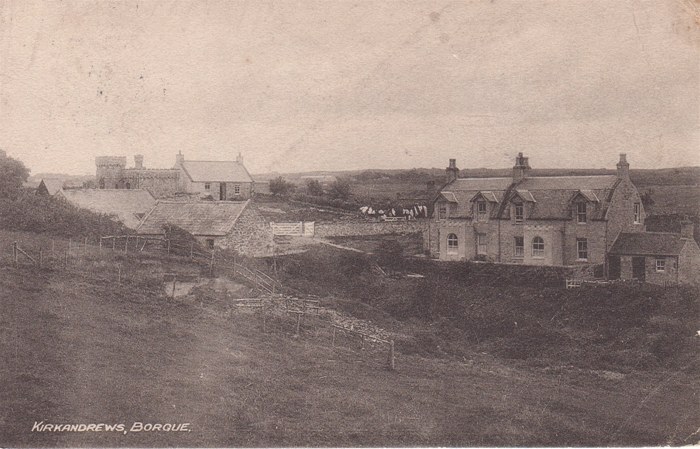 The corn mill is still present in the valley but the kirk and the laundry have now been built so this must be some time shortly after 1906. 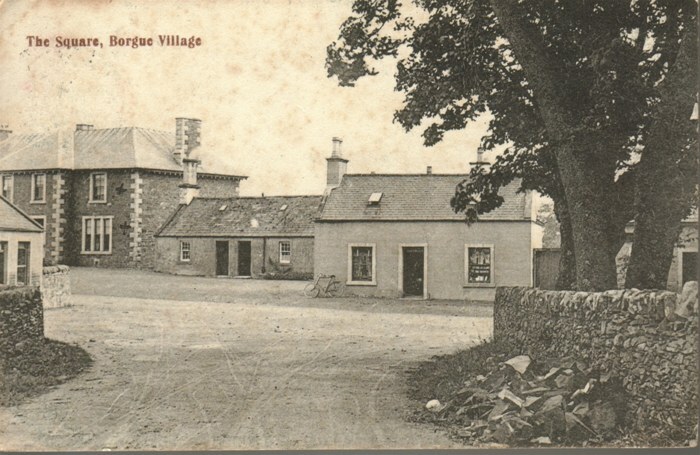 The original cottage of Milnecroft can be seen just right of and behind the kirk. The cottages of Knockkennoch on the right have acquired new porches with James Brown’s characteristic battlement decorations. 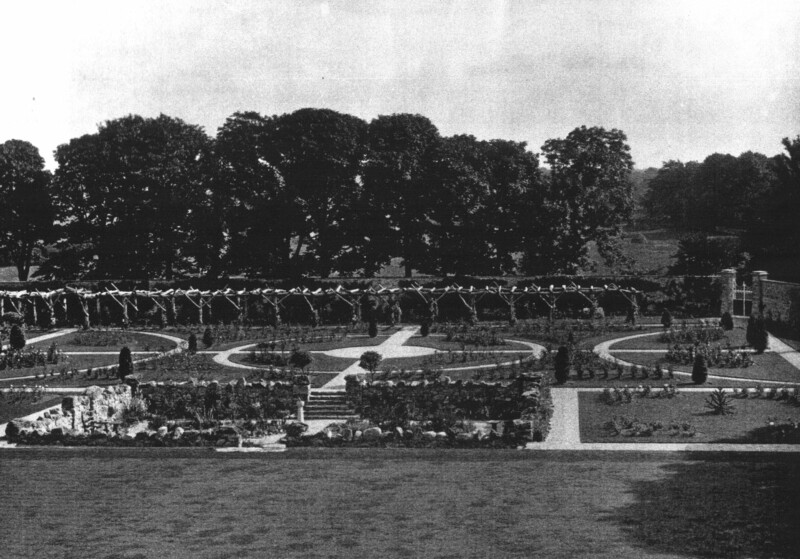 The house and formal gardens at Knockbrex. 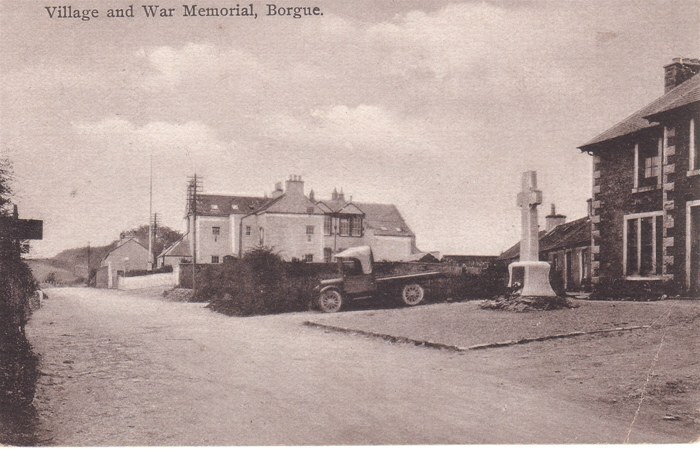 An earlier view of Borgue,before the installation of the telephone box at the corner.